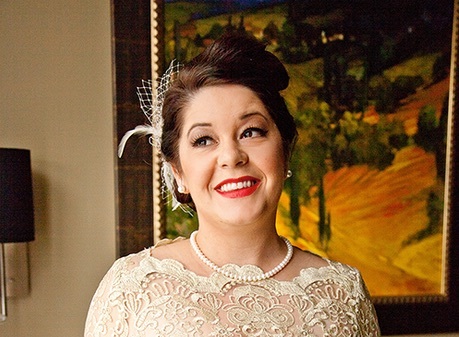 Below are photos of ModCloth’s Gilded Grace Dress, which is ModCloth’s most popular wedding dress. At only $175, it has over 880 positive reviews, and ranges from sizes 2 through 24. The beautiful backdrop can’t distract from this gorgeous dress. It’s like something out of a dream. So. Darn. Classy… not to mention, Cute! No matter what hairstyle you wear, this dress compliments it perfectly. This dress beautifully reflects true love. Try pairing this dress with bright flowers for a fun look!